If you haven’t seen the movie I Am Legend, turn off the air conditioning under than rock of yours and check it out. 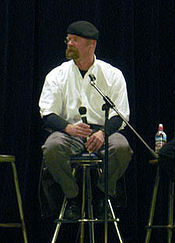 The movie follows Robert Neville’s pursuit of (happyness) survival as the last man on earth. He pursued this sometimes the ol’ American way. WIth weapons. One of his main weapons in the movie, M4 Rifle, is now on sale in England…for $9000. If you’re that big of a fan of the movie, I say more power to you. Go ahead, buy it, and yell at your friend Fred and threaten to shoot him if he isn’t real. Here’s the link to the sale page. Who knew that there was a gym for all the old, out of shape characters of Star Wars? Here are some new awesome posters of a few of the bigger characters from the new Batman flick, The Dark Knight, courtesy of IGN and Yahoo Movies. By the way, this just so happens to be my 250th post, what a great way to celebrate. A pretty good movie if you ever get a chance to watch it on TV is Life or Something Like it, where a woman is told by a “prophet” (Tony Shalhoub, Monk) that she only has a certain frame of time to live. 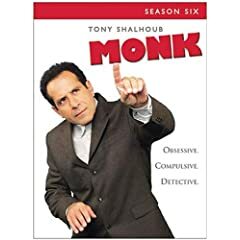 I’m a huge fan of Monk, and thought it was hillarious seeing Tony Shalhoub outside of his Monk persona in this movie. Enjoy these clips of him in the movie. This video actually came from one of my subsricebers. All of them will come in a 4-disc Widescreen collection and will retail at Amazon for $40. This wasn’t my favorite season (#2 and #5 are still the kings!) but it still provided some good laughs. 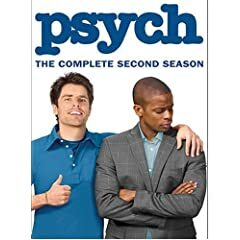 The box art for this DVD collection and Psych Season 2 is below. This is a clip from the most recent episode of Scrubs about the efficiency of Love Trains. This movie keeps looking better and better. 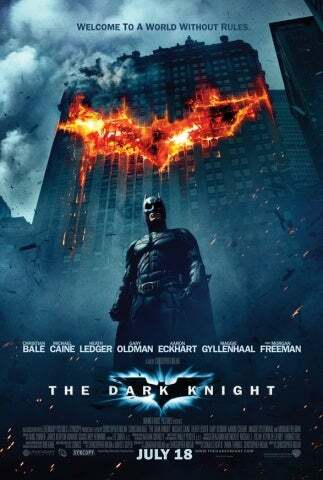 The Dark Knight, starring the late Heath Ledger, Christian Bale, and MORGAN FREEMAN, has released a new poster which you can see below. 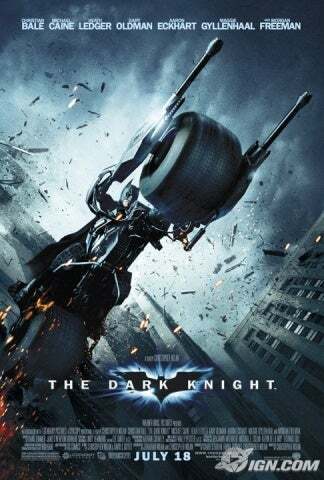 The movie releases on July 18, 2008. 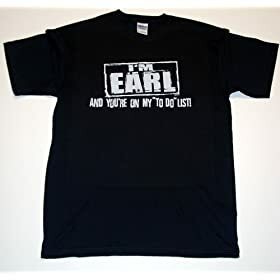 Here are some great shirts based on the show My Name is Earl I found on the now sacred site Amazon. You may find this funny, you may not. I personally did. It’s one of those things you just can’t describe. Type in some of your ideas and see your results. To visit this site of the day, click here. Here is the theme to the classic sitcom Sanford and Son, along with a version from Turk and JD on Scrubs, and since I found it, a clip of JD and Turk hitting the club. The Locker Prop, or any other prop on any object. It worked for the Fonz! Vintage or Funny T Shirts. Long sleeved is automatically unfunny. Band shirts, support the music! Here is the new trailer released for the upcoming movie, The Chronicles of Narnia: Prince Caspian. I used to be ehhish about it, but thanks to this, I now have to go see it. Thanks a lot Disney. You may have watched the Jim Carrey thriller a couple of years ago, entitled “The Number 23”. I have recently noticed I have been being followed, except by the number 27! My birthday is on the 27th of this month, James is on the 27th of November, my 8th Grade Math Teacher’s Birthday was on the 27th, Ulysess S. Grant and I share a Birthday, it is believed that Jesus Christ was baptized on the 27th. Multiple times in the day I come across the number 27, and it’s starting to get a little scary. I think I’m being stalked by this number. James, back me up here!